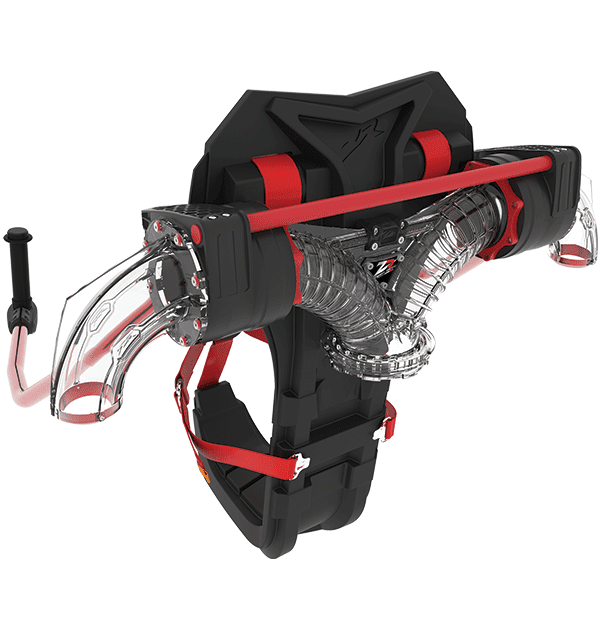 Also, the Flyboard Pro Series‘ sleek design is a treat on it’s own. By constructing a Flyboard that uses plastic injection and carbon fiber, it weighs 30% lighter and offers the rider an experience with less water resistance and more strength than the V3 Flyboard Legend. Loaded with independent twisting foot pads, this innovative design by Zapata Racing allows riders to adjust the degree of twist to their experience and comfort level. The foot pads aren’t the only thing that are adjustable, either. Look forward to enjoying adjustable nozzles that have also been made smoother to allow you increased efficiency.